This property is part of the Alcuzcuz Villas. Eight brand new exceptional luxury contemporary villas in a privileged, peaceful location in the Alcuzcuz Reserve, on very generous plots. Brand new exceptional luxury contemporary villa in a privileged, peaceful location in the Alcuzcuz Reserve, on a very generous plot. 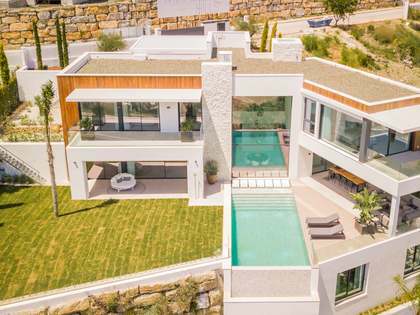 Within the exquisite natural surroundings of the Alcuzcuz nature reserve, 10 minutes from the Mediterranean Sea and bordering the exclusive La Zagaleta country club, we find these 8 contemporary luxury villas for sale. Although the 8 properties have been created to have a harmonious appearance, each of them has unique characteristics and design details. They all enjoy clear sea views and complete serenity thanks to their location in a cul de sac form, away from passing cars and street noise. 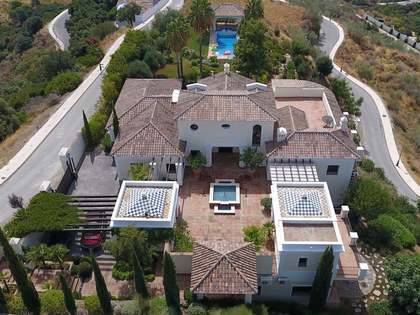 On a plot of 3,000 square metres, this villa boasts a generous surface area of 854 square metres with an open plan living space and kitchen, 6 heavenly bedroom suites and terraces and a pool deck that connect seamlessly with the interior. Naturally, only the finest materials have been used in creating this luxury home along with the very best in contemporary design techniques and cutting edge home technology. 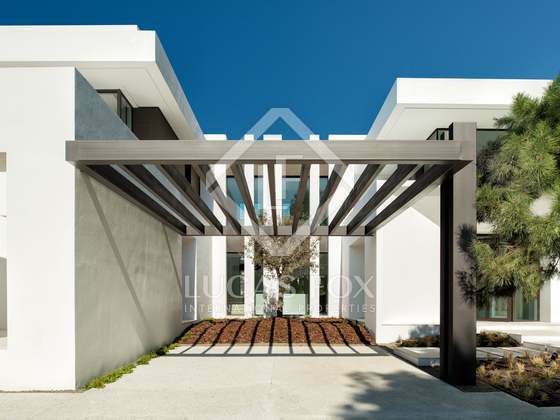 An impeccable new residence in one of the most coveted areas of Marbella. This outstanding new development enjoys a highly privileged location in the beautiful Alcuzcuz reserve, bordering the prestigious La Zagaleta country club and just 10 minutes from the Mediterranean Sea and a short distance from Marbella.